Miles away from any other camp, you'll drive in on a private road the follows the contours of the rim with breathtaking views on either side. 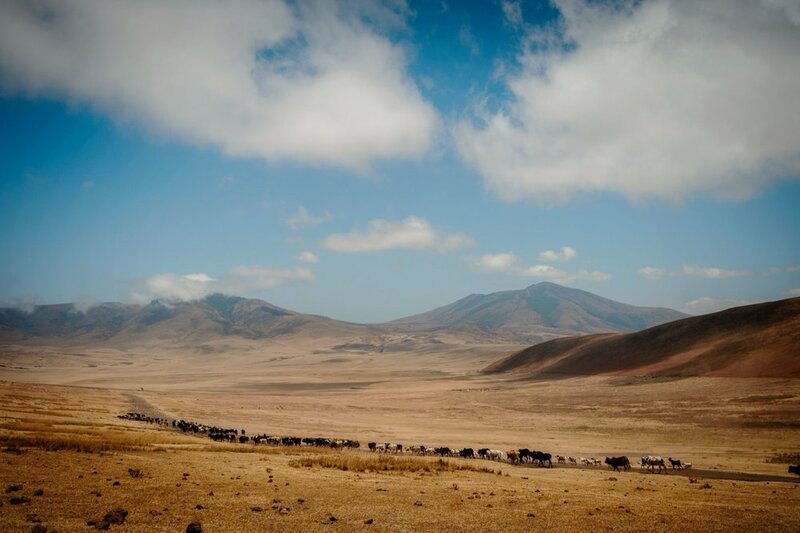 This privileged high-altitude location means that you're able to watch the sun rise over the world's largest unbroken caldera and have it set at your back over the Serengeti Plains. 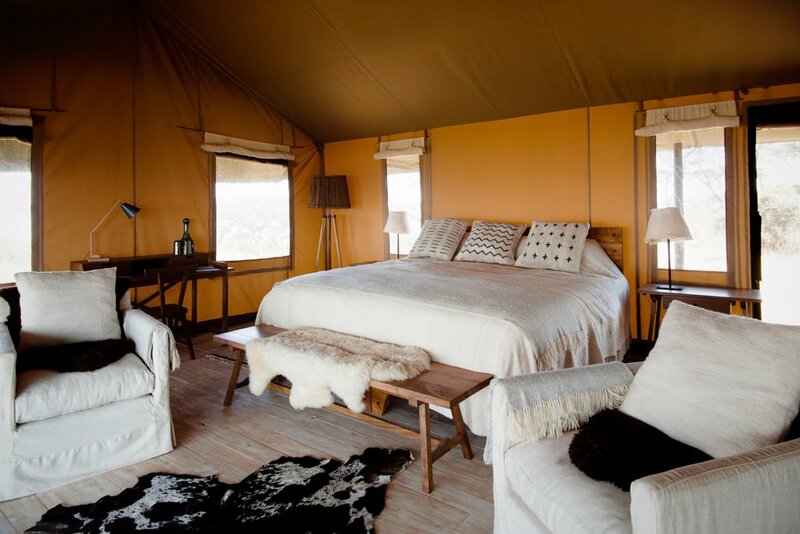 There truly isn't anywhere else you can see both things in the same day, mere feet away from your safari tent! 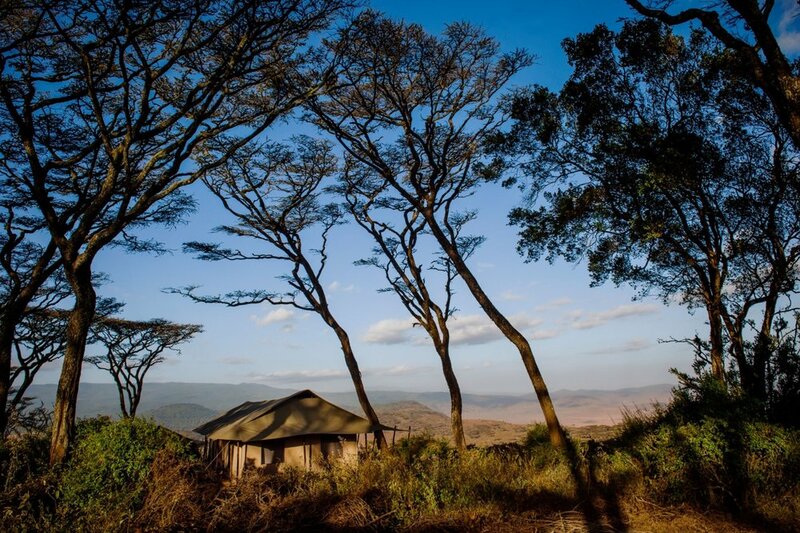 With fierce elements like piercing sun and biting wind, there's a rawness to Entamanu Ngorongoro that fills each dawn with a sense of excitement and each dusk with a coziness rare in Africa. With leave-no-trace principles in mind, Entamanu is an entirely removable camp. 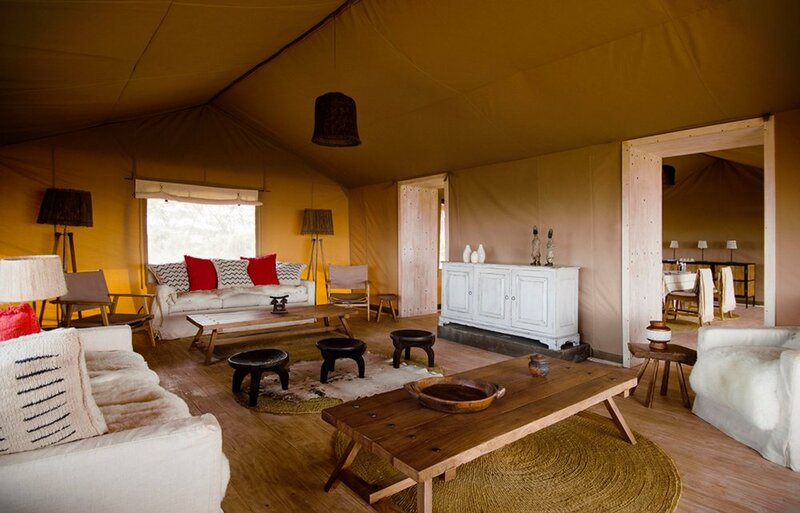 Canvas rooms sit on platforms in a grove of acacia trees covered in moss, every detail having been locally sourced and created by Tanzanian artisans. The lounge and dining room boast a warm hearth that if needed, can be removed leaving nary a footprint on the landscape of the rim. By day, you'll delve into the world of the famous caldera where wildlife run amok in great numbers. You'll also get to explore Empakai, Olmoto, and Ol Donyo Lengai, areas often ignored by tourists who stick only to the crater. Each night return to your canvas tent on stilts to cuddle up beneath a wool and down duvet and the blanket of a billion stars. "We have had some of our most amazing wildlife and cultural experiences out here: hundreds of Jackson’s Whydah birds pogo-ing in a field of grass, two leopards peering through the old mans beard on a pillarwood tree, one elderly Maasai lady tending her pots in a deserted highland village."